This beatufeul tropical theme combo is perfect to add to the fun vibes of summer. 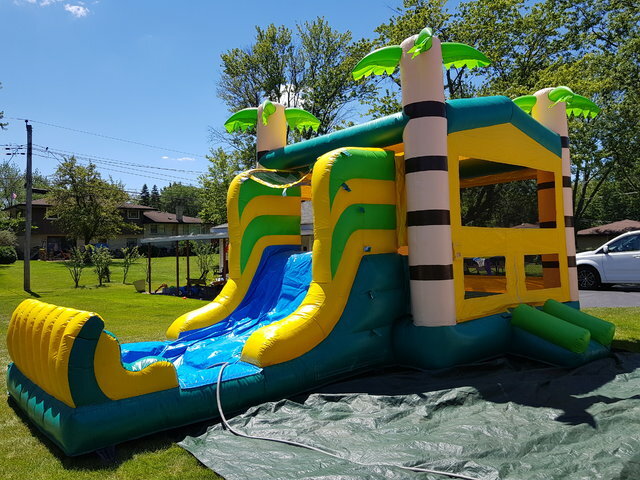 Included is a 13' x 13' jump area. One of the corners has a basketball hoop! They can also play around with pop up sticks. Then, kids can climb the small mini rockwall to slide down the slide! This combo can be used wet as a water slide for an additional $24.99!